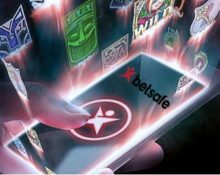 Betsafe – Daily Bonus Tournament! Win a share of €2,500 in bonuses, every day! Players from Finland, Norway and Sweden, keep competing against your fellow players as the Daily Tournaments at Betsafe as the campaign has been extended until the end of June 2018. A bonus prize pool totaling €2,500 is there for the taking in daily equalized races on selected slots. To be accessible and fair to low and high rollers alike, the position on the leader board is determined by the average win over 20 consecutive spins, irrespective of the bet size. Exclusive for our readers from Finland, Norway and Sweden, make sure to get your share on the this juicy €2,500 bonus pot in Betsafe’s Daily Tournaments, running until 23:59 CET on 30th June2018. Simply score the highest equalized win over 20 spins at any bet size to place on the leader board. The winner of the tournament is the player with the highest average earnings, calculated by total win amount divided by total wagered amount, over a period of 20 consecutive spins on the selected daily slot only. The TOP50 scorers will each win a bonus prize. Prizes: 1st – €500 | 2nd – €300 | 3rd – €250 | 4th & 5th – €100 | 6th to 9th – €75 | 10th & 15th – €50 | 16th & 25th – €30 | 26th to 35th – €20 | 36th to 50th – €10. 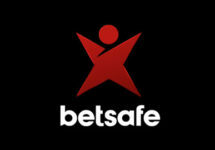 All prizes are paid out as bonus money by 18:00 CET the day after the tournament ends and come with a 10x wagering requirement within seven days, subject to the Betsafe bonus terms and conditions. Tournament winnings from Fridays, Saturdays and Sundays are paid out the following Monday by 18:00 CET.